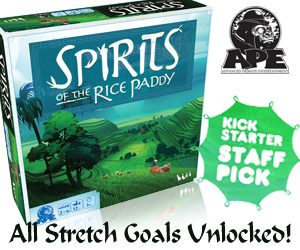 As you can see from the chart, Spirits of the Rice Paddy did very well during its Kickstarter campaign! The campaign ended yesterday with 1,881 backers and over $87K. That makes this campaign more than double my previous best effort (Fidelitas at $39K)! I continue to be astounded by this game's acceptance in the board game community. I've always been a bit worried about the obscurity of the theme. However, I believe that has become an asset to the game. Because of the high level of funding, we were able to add in many new bonus components and upgrade all the different bits. The backers had lots of opinions about how best to do this (many times these were diametrically opposed), so we had to make some judgment calls. Now begins the difficult work of preparing the final files for the printer and sourcing all the components. Most of this work will be done by Kevin, from APE Games (who continues to suffer from an illness caught at a local con). Even in his diminished state, Kevin did a great job managing the campaign. Finally, let me just thank all the backers and others who supported me during this process. We would not have been so successful without these people caring about the project and telling others. 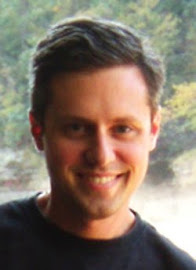 I really appreciate your efforts, and I look forward to delivering an amazing, high-quality game!